When the brain becomes addicted to a substance, it deceives the mind into thinking it needs it to be happy, making the addiction difficult to confront. The mind struggles to envision daily life without the ingestion of the substance. These mental hurdles often allow others to see more clearly when a loved one’s addiction is out of control; rehab soon becomes necessary to recover and heal. Substance abuse treatment allows the brain to become accustomed to functioning normally without ingesting substances. The brain proceeds with the manufacturing of the chemical it was taking from the substance, which restores brain health and balance and allows one to focus on learning new, healthy lifestyle habits. Rehab begins with detoxification; in which the toxins left behind from the drug leave an individual’s body and the brain resumes production of all necessary brain chemicals. Customized treatment programs are provided within an inpatient or outpatient therapy setting. Cognitive therapy is used to identify co-occurring disorders or underlying concerns that could be aiding in the addiction. Several therapies are available for life coaching, social skills, education in nutrition and strength training to heal all aspects of one’s life. Individual therapy helps to heal relationships and construct an aftercare plan for use outside of treatment when cravings appear, or social situations bring about triggers of old habits. 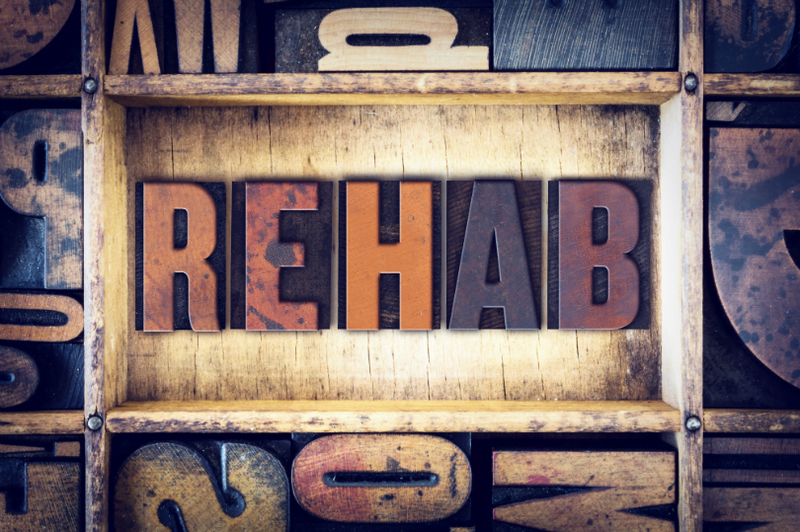 Rehab programs offer a variety of treatment approaches that can include a combination of detox (with or without medication) relapse prevention, aftercare, long-term or short-term residential treatment, outpatient treatment, individual and group therapy, and many more. The main focus of any treatment approach is the medical attention and mental health of the addicted person. Support, encouragement and education are abundant in treatment programs that guide one down the path to recovery. One of the first questions asked about treatment is, “How long will it take?” As every person and every addiction is different, so too should treatment. Studies done by the National Institute on Drug Abuse show that at least 90 days of treatment is necessary for a person to overcome an addiction to a substance. Residential treatment provides healthy meals and lodging in a program that immerses one in treatment 24/7 and is absent of triggers and other pitfalls that could sabotage one’s conviction to heal from their addiction. Long-term treatment is usually planned for 90 days to 12 months, depending on the individual’s needs. Long-term treatment provides a community that includes staff and its residents to learn from and to socialize the newly healthy brain. Other benefits of long-term residential treatment include a focus on accountability and responsibility that often becomes lost in active addiction. Time spent in residential treatment is structured and models a healthy lifestyle while correcting damaging thought processes and self-images that come with active addiction, which often transitions easily into a successful life of recovery outside of treatment. Like long-term residential treatment, short-term residential treatment provides healthy meals and lodging in an intensive, immersive program based on a variation of the 12-step strategy. Short-term residential treatment is usually planned from three to 10 weeks in which the individual receives the same benefits of a long-term residential treatment. Outpatient care (see below) plays a crucial role in after care to extend the benefits of short-term treatment. Those that are unable to take part in a long-term residential program due to familial obligations, employment restrictions or insurance shortcomings may be best suited for short-term residential treatment. Outpatient treatment serves many needs and can range from casual group therapy once per week to intensive daily treatment. Often, group therapy is a standout support option in outpatient treatment programs. When considering an outpatient program, it’s recommended that the recovery strategy as a whole be consulted in the course of selection. For example, should an individual plan to complete a long-term residential program, a casual group therapy setting may be what is needed to strengthen conviction to stay clean and sober in early recovery. If residential treatment will not be part of an individual’s recovery, intensive outpatient programs should be considered. Working with a drug counselor not only helps to resolve underlying issues aiding in one’s addiction, it often corrects cognitive concerns that contribute to the addiction as well. Individualized drug counseling strengthens coping strategies, monitors one’s needs for additional support in areas of medicine, psychiatry and many more. Group counseling is a common tool used to reinforce sobriety, broaden perspectives, and practice social skills in open discussions with comrades in recovery. Deciding that it’s time to get healthy and overcome an addiction is the first and most important decision of many that are made on the journey to recovery. Choosing a treatment program that will bolster your success in recovery can appear overwhelming at first. As Army General Creighton Abrams famously said, “When eating an elephant, take one bite at a time.” Breaking down the colossal task into smaller decisions is essentially the best place to start. Start by determining the best treatment approach for the individual’s needs. Are the means available to attend a long-term residential program? If not, evaluate other options. When the foundation for treatment has been determined, considering the following points can help one to feel confident in their selection. ○ Many choose treatment away from home to avoid distractions. Many stay close to home for family support. Does the facility have appropriate accreditation? ○ Are detox facilities available? ○ Does the facility have the ability to treat co-occurring disorders? ○ Are private rooms available? ○ Is the staff adequate, empathetic, and supportive? 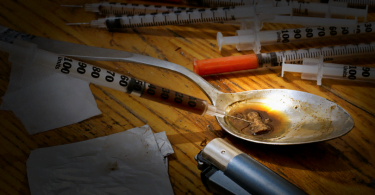 ○ Is addiction-specific treatment available? What level of family involvement is encouraged? What are the facility’s rules and regulations? For guidance in this difficult time, we invite you to give us a call; we’re happy to answer your questions and help you get started. These are great points that I’m sure can help a lot of people find the right rehab center for their needs. It’s something that does require a lot of thought and research. What are withdrawal symptoms of opiates? What are the symptoms of methadone withdrawal? Can people get addicted to marijuana?